Hon. Jonathan E. Silbert - Mediator & Arbitrator based in New Haven, Connecticut. Please click your preferred available date to submit a request. Your Appointment Form will be sent to Jonathan 's assistant, Cheryl Maturo. 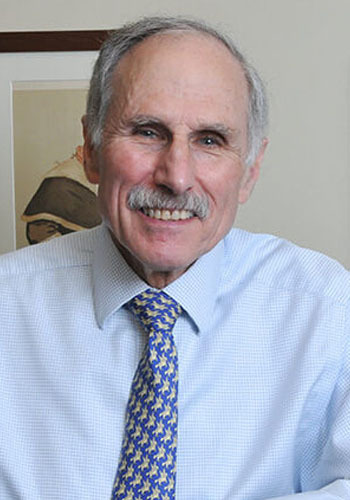 Judge Silbert retired as a Judge of the Connecticut Superior Court in 2012 and immediately rejoined his former law firm as "Of Counsel" with a practice devoted exclusively to Mediation and Arbitration. More than half of his 21 years on the bench had been spent as Presiding Civil Judge in New Haven, a position whose principal task was helping lawyers and their clients find ways of resolving their cases amicably. From this experience was born a commitment to the fair and expeditious resolution of civil cases without trial. That commitment has been formally recognized by the Bar in several ways, including the Connecticut Trial Lawyers Association Judiciary Award (2001); the Connecticut Bar Association's Henry J. Naruk Judiciary Award (2003); the Hon. Robert A. Zampano Award for Excellence in Mediation (2005); the Connecticut Chapter of the American Board of Trial Advocates' Professionalism and Civility Award (2010); and the New Haven County Bar Association's Civility Award (2013). Judge Silbert has earned a reputation for his dispute resolution skills not only in his home state but internationally as well. He has lectured on mediation in Connecticut and also in the Russian Federation, Nicaragua and Ecuador. Judge Silbert 's experience also includes three years as a legal services attorney and seventeen years in private practice. He has served on the faculties of Yale Law School and the University of New Haven. For more than a dozen years, he acted as a consultant to the Edna McConnell Clark Foundation’s Justice Program, specializing in issues relating to sentencing and alternatives to incarceration. In November of 2012, after 21 years as a judge, he returned to Garrison, Levin-Epstein, Fitzgerald and Pirrotti, P.C., the successor of the law firm of which he had been a co-founding partner in 1977. Full day $4500.00 1/2 day $2500 shared by the parties.